Hossain Zillur Rahman is presently Research Fellow at the Bangladesh Institute of Development Studies, Dhaka and combines degrees in economics and political sociology. In a research career spanning nearly two decades, Dr. Rahman has been a consultant to various international bodies including DANIDA, Asian Development Bank and SIDA. 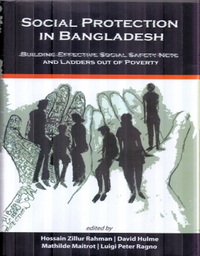 He has written extensively and has previously authored The State of Basic Social Services in Bangladesh; Critical Review of Studies on Agrarian Structure in Bangladesh; and Field Research and Rural Poverty: Dialogues on Methodology.